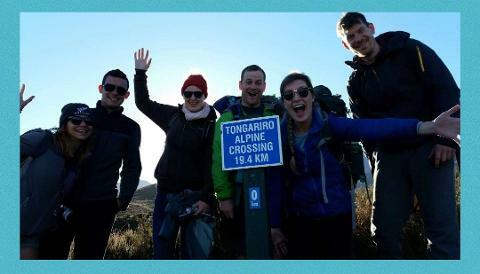 Tongariro Alpine Crossing round trip transfer naturally begins with our ‘Maōri blessing' as well as our local knowledge and stories. 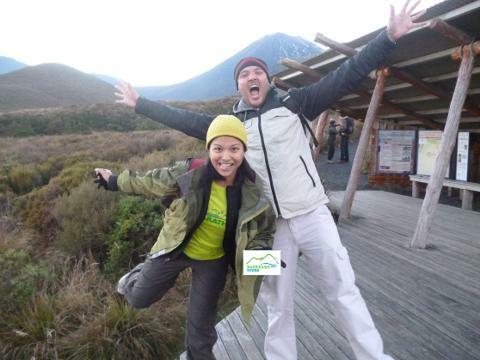 As we round trip transfer you from Turangi central business district with our vans’ to New Zealand’s best one day hike. Any where else around this area or any other requests, simple just let us know the address and please be waiting out front road side. Included is FREE safety photography and FREE use of walking poles and a FREE cold celebratory drink at the END. Begin your day early and enjoy the sunrise with the lesser crowds. 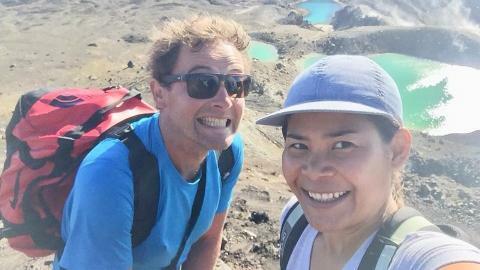 Visitor’s care is ensured whilst enjoying our mesmerising panoramic views of the Central North Island Volcanic landscape. Book NOW! NOW offering three great round trip transfer options; one being from Taupō town central, and Turangi central, or from Backyard Tours Private Carpark (Google Maps) on SH46 where is flag signposted. All options at great value with our aim of providing excellent customer service and environmental sustainability. No transport woes or worries. Be aware of the mountains live volcanic terrain. Be Aware of the Weather conditions. Think smart and be prepared. IMPORTANT INFORMATION FOR YOUR SAFETY! 1. Plan Your Trip (Seek local knowledge and plan the route you take and the amount of time you can reasonably expect to take). 2. Tell Someone (Tell someone your plans and leave a date for when to raise the alarm if you haven't returned). 3. 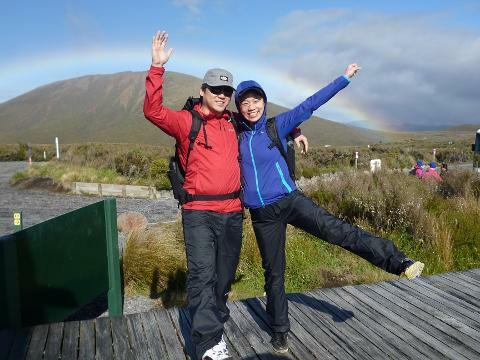 Be aware of the weather (NZ's weather can be highly unpredictable. Check forecast and expect weather changes). 4. Know your limits (Challenge yourself within your physical limits and enjoy your experience). 5. Take sufficient supplies (Food & Water, 1st Aid Kit, Toilet paper, Extra Clothing avoid denim jeans, Sunscreen, Wet weather gear, Sturdy footwear, Headlamp). Please what you 'pack in' YOU 'pack out'. Environment friendly! Turangi place of stay round trip transfer -self guide (please be waiting out front road side). No confusion on the State Highway roads getting lost or late. No traffic worries and woes of parking or availability. We drive you, sit back, buckle in, and relax. Return transport transfer for safety responsibility and accountability. Safety briefing of preparedness, awareness, and equipment. Commentary with local knowledge and stories. Maōri blessings of acknowledgements and explained in English. Team Photo FREE (safety photo). Walking Poles FREE use (less pressure on legs downhill). Celebratory drink received at the end FREE (lifesaver). Trip Advisor Excellence Certificate 2018. Ngati Hikairo and Department of Conservation Concessionaire Approved. 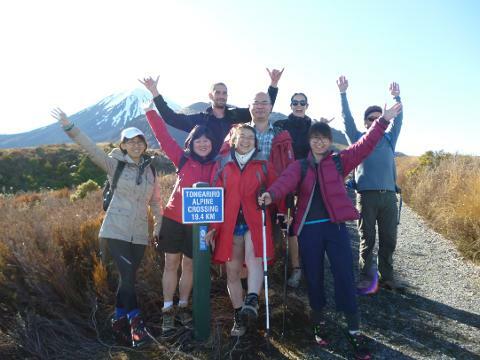 Tourism New Zealand QualMark Awarded - Quality Assured. New Zealand Transport Association License TSL / PSL Approved. Small family business established 2012. The maximum capacity 3 x VAN vehicles is 9 pax each per departure time set or prior arranged. Your booking is confirmed upon availability, just like that. After you have booked if you have any special requests you can let us know via phone +6422 314 2656 or email enquiries@backyardtours.com All terms and conditions are available from our website www.backyardtours.com Bookings are essential for your secure convenience Book NOW!